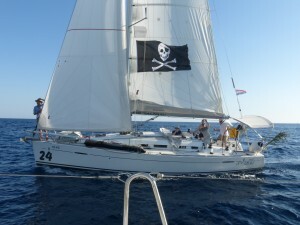 Croatia sailing in September for a great fun time holiday in good company. 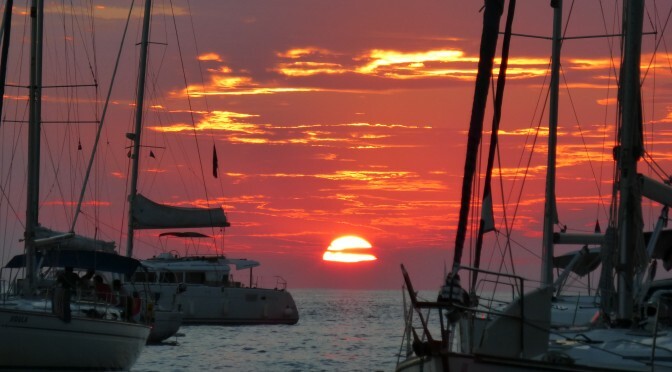 This is a fantastic opportunity to have sunshine in the Med, top up the tan along with learning new skills, develop your existing knowledge on larger boats and adding some mileage to your log book. You will add approximately 150 Nm to your logbook. The emphasis is on fun and learning with formal ‘teach in’ sessions every morning. You will visit and see a host of different Croatian Islands and lovely ports with a ready made social scene aboard this luxurious 45 foot cruiser! Excellent tuition is available all week in a relaxed style, practise your passage planning and a bit of navigation, act as ‘skipper on-board’ the boat but under guidance – or just kick back and join in the sailing elements when you want to. We take any experience level on this trip and we try to keep the saloon areas clear using just the cabins so that there is plenty of space aboard. We aim to have 6 clients aboard a 45 foot yacht and 7 on board a 50 footer. First day would be a shake down sail with a maximum 20 nm so nice easy relaxed stages and nothing too fraught so don’t be put off by the thought of constant long passages. We make sure that we have time to relax each day so there is plenty of time to relax and swim etc. and we try to stop every day for lunch and a chance for people to have a quick dip. 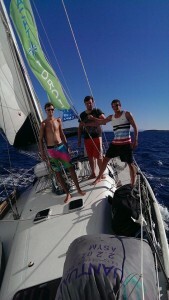 Fantastic scenery and great fun sailing in good company. 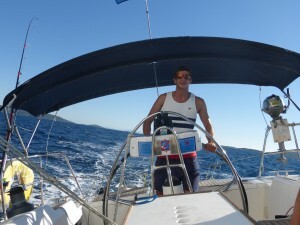 Previous PostCross Channel Yacht Cruise France / Channel IslandsNext PostFancy Joining Round the Island Race?